Two of tennis’ “big four” men’s players have reached the Wimbledon final for the sixth time in eight years and fourth in a row and Roger Federer and Novak Djokovic do battle to discover who the king of the grass is in 2014. Of the mammoth 35 meetings between these two during their careers Federer shades the head-to-head’s with 18 wins to 17 but that’s not the only reason why the floppy haired, dappy dresser should be supported. 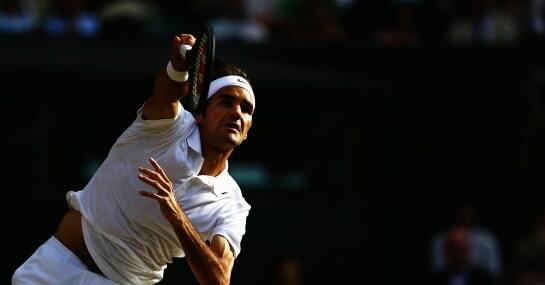 Federer has only lost one Wimbledon final in the eight that he’s reached and that took five sets, two tie-breakers and a 9-7 final set to topple him. On the other hand, Djokovic has lost all three previous Grand Slam finals he’s reached, as well as five of the last six. Of the 35 tussles between two of tennis’ greats, nine have come in tournament finals, but only one of them has been in a Grand Slam. Five of those nine matches were over in straight sets and their one Slam finale – the 2007 US Open – also followed suit. Federer has also only dropped one set on his way to this showcase match, which means you could get odds of 7/1 if you combine the outcomes of our first two bets. A tie-break between these two is quite rare, with only 16 being needed in all the clashes between them in the past. However, a first-set decider is an even more extraordinary occurrence with one being required in the first set of a match just seven times. There hasn’t been a first-set stalemate in the last five matches between the two and neither man has endured one in this tournament so far.